This is the First Arma 3 Real Time Strategy. 3 Zeus' and up to 12 extra players battle for Altis by capturing FOBs and eventually the enemy HQ. Control: Altis is the very first of it's kind. 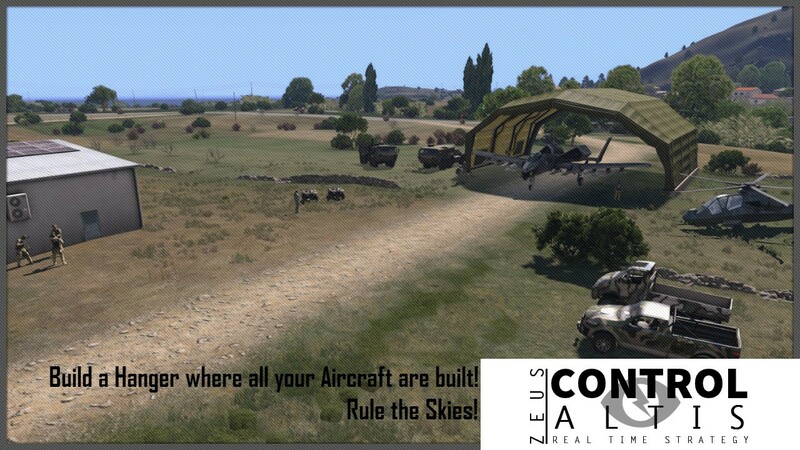 I happily created the first real RTS in arma 3 with Zeus integration. Hit that support button and come along for the ride! 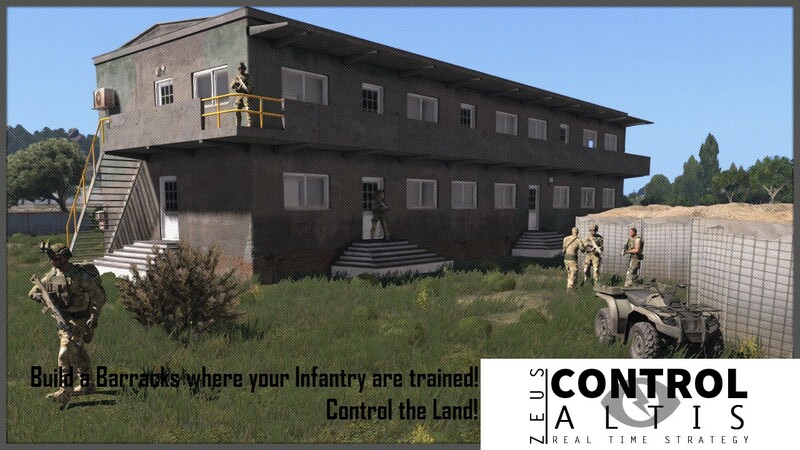 Take Control of Zeus and fight for either BluFor, OpFor or Independent. Capture and Defend Forward Observation Bases to spawn units at a tactical advantage. Gain Tactical Advantage over the Enemy using Map input or in-Game input, even run around with your army. For each Sector you control, you gain more points to spend! Buildings are now availble in the latest update! Build a Barracks to unlock infantry, a Hanger to unlock Aircraft, it's that simple! Capture the new Oilfields to gain a more rapid resource income! Creating this mission, and working this hard to bring it to what it is today, could not have been possible without the support and dedication you guys have given me. Without that, it would not have got this far. We have been promoted, and stand a chance at winning this thing. But, it's okay if we don't. I have loved every second of making this for all the thousands of players that play it. That is enough for me. Of course, winning would be a bonus eh? 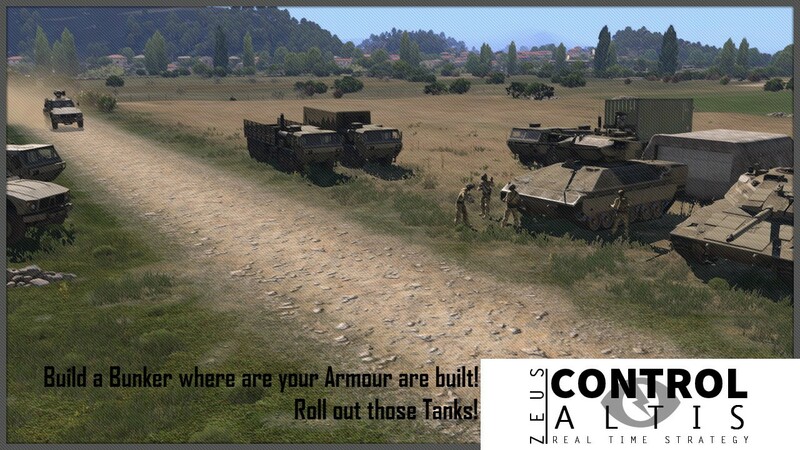 So PUNCH that support button, show some love, and join the Arma 3 RTS community by downloading and playing!